Is there a better alternative to Perfect Database Icons? Is Perfect Database Icons really the best app in Icons category? Will Perfect Database Icons work good on macOS 10.13.4? Perfect Database Icons is a collection of wonderfully-crafted ready-made icons for use in various database products, including software applications, information websites and presentations. The icons have a bright color palette, smooth and well-rounded edges. They are delivered in a variety of formats and sizes. This icon set includes database related icons: edit record, add record, delete record, login, user, administrator, card file and others. 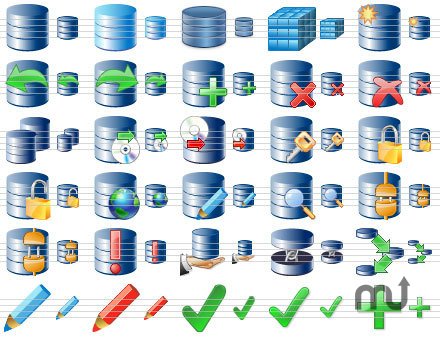 Perfect Database Icons needs a review. Be the first to review this app and get the discussion started! Perfect Database Icons needs a rating. Be the first to rate this app and get the discussion started!